The Philippines has all but given up on its treaty ally the United States’ helping defend its maritime boundaries against Chinese encroachment and military buildup within its Exclusive Economic Zone. In an interview with Light TV aired last Thursday, presidential spokesman Harry Roque disclosed Malacañang’s belief that the US, a partner under the 1951 Phl-US Mutual Defense Treaty, will not come to Manila’s succor in its territorial tussles with Beijing. Roque said critics questioning Duterte’s reaching out for better relations with China should realize that Washington would not side with Manila in its maritime quarrel with Beijing. China’s transforming hitherto uninhabitable features in the West Philippine Sea into military outposts has disturbed the equilibrium in the region. The MDT partners committed to help each other in case of an “armed attack” on either of them or on their military forces or vessels. But the pact does not cover territorial issues or the basing of third party forces with the tacit consent of the theoretical offended nation. If emboldened by Duterte’s silence or acquiescence, China set up military installations on artificial islands in the Philippines’ EEZ, why would the US “defend” the Philippines? Chinese forces should actually fire on Philippine or American forces, or invade the Philippines, for the US to retaliate under the treaty – and then still subject to the usual US congressional processes. For the US to instantly hit back, as some Filipinos want or mistakenly expect, American forces or military craft should have been attacked first. Chinese coast guard vessels making dangerous maneuvers or firing water cannons are not enough to trigger armed retaliation. In the same interview, Roque dared critics of Duterte’s China policy to muster and rush to defend Philippine territory that they believe is being taken over by Chinese forces. This view looks odd, from where we sit, as it pictures the President passing to civilians a basic function of the armed forces that he commands. With this unusual stance announced by his spokesman, the more the President is called upon to level with the people and explain why he is so scared of China. It is not enough for him to say he does not want to go into a war he cannot win. The statement of President Duterte that he would jet ski to Scarborough and plant the flag there if the arbitral tribunal were to declare that the Philippines owns Scarborough shows that he was well aware that the tribunal would not do so. As in fact it had not done so. Scarborough is a “rock.” The arbitral tribunal has no jurisdiction to adjudicate on ownership of “rocks.” Of course, he did not point out that his statement has a condition when media and everyone else put a twist to it. I also think that he was aware that pointing out the condition would have a negative impact on the people. That is why he just said later that he was joking. Does the Philippines own its EEZ and continental shelf? UNCLOS divided the seas into maritime zones. Then, it allocated rights to exploit resources located in those maritime zones without allocating ownership over those zones. The exception is with reference to the territorial seas of coastal state. First, we have the exclusive economic zone or EEZ, maximum 200 nautical miles measured from the land mass other land protrusions. The coastal state’s continental shelf is underneath the EEZ, which most likely would be lesser in area than the EEZ. There are, however, special circumstances when the continental shelf may exceed the length of the EEZ (e.g. 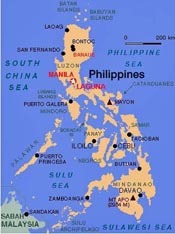 Philippine Rise). Within the EEZ we have the coastal state’s territorial seas, 12 nautical miles measured from the land mass/other land protrusions of the coastal state. Here the coastal state has “territorial sovereignty,” but subject to limited rights of other states such as the right of innocent passage. Then, the rest of the coastal state’s EEZ.